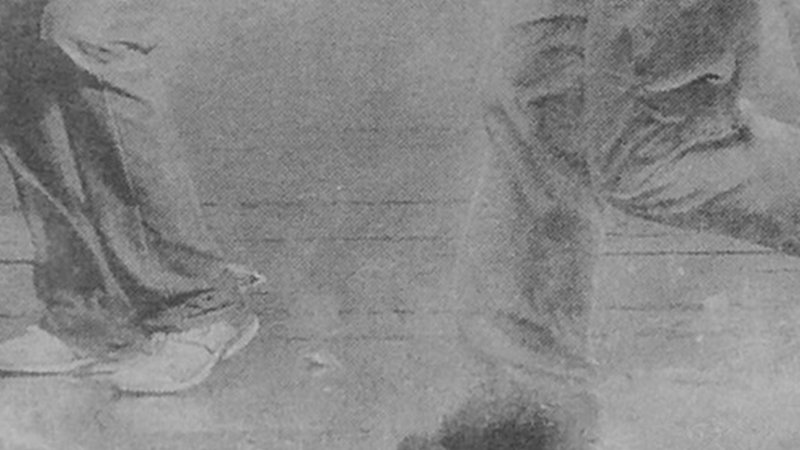 55: Music and Dance in Concrete was a modular, site-specific work created by composer Wayne Horvitz in collaboration with Yukio Suzuki (choreography and dance), Yohei Saito (video artist) and Tucker Martine (producer / engineer). Designed to highlight the unique visual and acoustic elements of chosen sites, the piece is grounded by an electronic score, comprised of fragments from 55 composed short motifs for chamber music, and 55 pieces from various invited improvisers. The 110 fragments were recorded and presented at Fort Worden in Port Townsend, Washington. 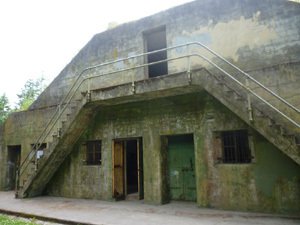 The Fort’s architecture, including concrete bunkers and a massive cistern, created auditory conditions that shape the piece from foundation to performance. 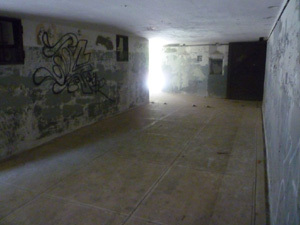 Horvitz has long been fascinated with the unique tunnels and chambers that make up the military fortification system of the circa-1900 army base, including the acoustic qualities of the Harpole Cistern. Nearly two hundred feet in diameter and fourteen feet deep, the cistern was originally built as a water supply system. Now empty, the cistern features a 45-second reverberation time, one of the longest known natural reverb times of any interior space. Immediately after completing a residency at Centrum in Port Townsend, Mr. Horvitz and Mr. Suzuki developed the work at Arizona State and created a new version of the piece utilizing spaces within the Arizona State University Museum of Art. 55: Music & Dance in Concrete was premiered at Fort Worden as part of Centrum’s Reverberations series, in addition to the Arizona State University Art Museum. Additional site-specific versions of the piece will occur in Seattle presented by Rainier Beach Merchant Association’s (RBMA) Art Walk Rainier Beach, in association with SEEDArts. 55: Music and Dance in Concrete received initial funding from the MAP Fund and the Doris Duke Charitable Foundation, as well as support from Arizona State University, and SEEDArts. The project is supported by the Japan Foundation through the PerformingArtsJAPAN program. The Centrum Artist Residency program is made possible by support from the Washington State Arts Commission and the Washington State Parks and Recreation Commission. Additional support was provided by 4Culture Site Specific. Read more and see photographs of previous Yokio Suzuki and Wayne Horvitz collaborations from Willamette Week and Portland Monthly Magazine.